Note: I originally published this story back on November 17, 2012, and I am sharing it with you now as I am preparing to add it's content to the 2017 BaselWorld introduction of the Single RED SEA-DWELLER also known as the SRSD. There are only 6 known examples of the Single Red Rolex SEA-DWELLER prototypes in the world, and this one, which belonged to a Japanese collector just set an all-time Submariner auction record when the Antiquorum Auction house sold it for 490,000 Swiss Francs ($ 518,000). You can learn everything about the Single Red SEA-DWELLER history in my Complete History Of The Rolex Submariner & SEA-DWELLER–Rolex Conquest Of The Ocean 18 Part Series. ROLEX REF 1665 – THE SINGLE RED PROTOTYPE – PATENT PENDING – 500M-1650FT – ONE OF SIX KNOWN Rolex - Ref. 1665 - Single Red Sea-Dweller - Patent Pending, Rolex, "Oyster Perpetual Date, Sea-Dweller, Submariner 1650 ft. = 500 m., Superlative Chronometer, Officially Certified," case No. 1602931, Ref. 1665. Made in 1967. Fine and extremely rare rare, center seconds, self-winding, water-resistant, stainless steel diver's chronometer wristwatch with double red Sea-Dweller logo, helium escape valve, date and a stainless steel riveted Rolex Oyster Ref. 7206 bracelet with patent pending extension link. 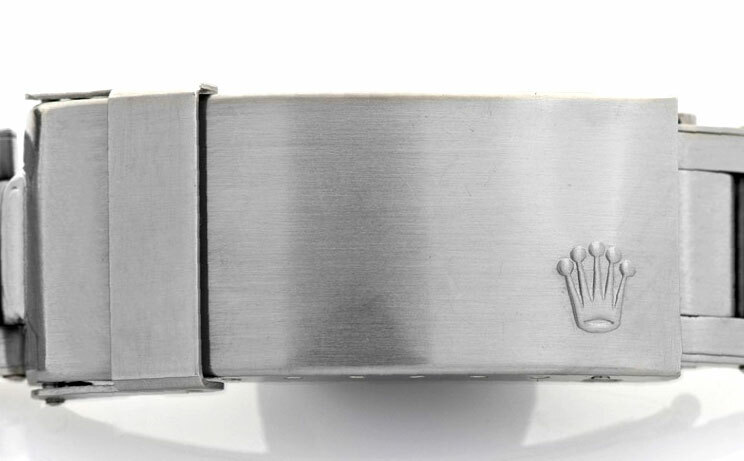 The Rolex Sea-Dweller is one of the most purpose-fully designed watches that Rolex has ever made, and possible the most important diving watch of the second half of the 20th century. Born from a collaboration with various diving professionals, governmentally agencies, and Rolex, the watch was the fi rst to introduce the idea of the helium gas escape valve. This valve solved the problem of achieving deeper dives while maintaining the functionality and integrity of the watch. As an ongoing development, the Ref. 1665 Sea-Dweller saw many revisions and iterations with the most coveted being the very earliest examples. The watch offered up for auction here is one of those pieces. Never seen at auction before, including this particular example, there are 6 known examples of the “Single Red”. According to research, this may be one of the only two known examples with escape valve. 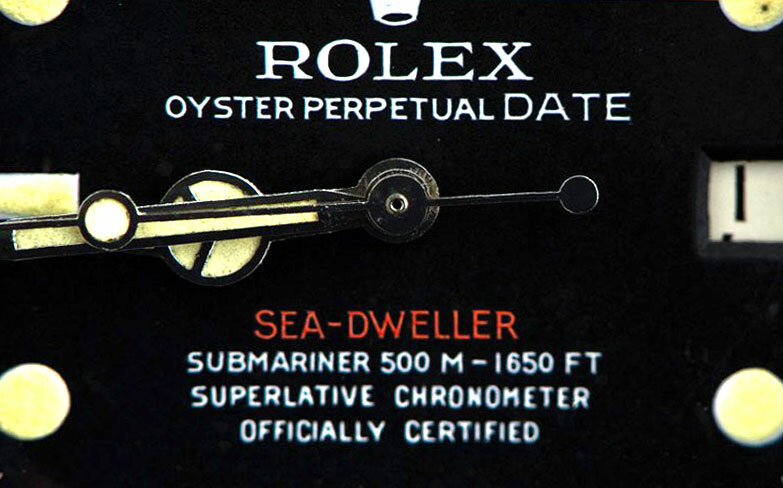 The moniker is given for its one line of text on the dial, “SEA-DWELLER”. It is unique from other examples of the 1665 as the depth rating on the dial is 500m instead of the more common 600m. The dials also have a very rough and prototype feeling about their printing as the “DATE” in Oyster Perpetual DATE is much larger and seemingly added to the text as an afterthought. The luminous material on these watches also looks to be hand applied and many still glow, which is an attribute usually associated with the latest production gilt dial sports watches Rolex made in the late 1960s. These watches generally come in two confi gurations. 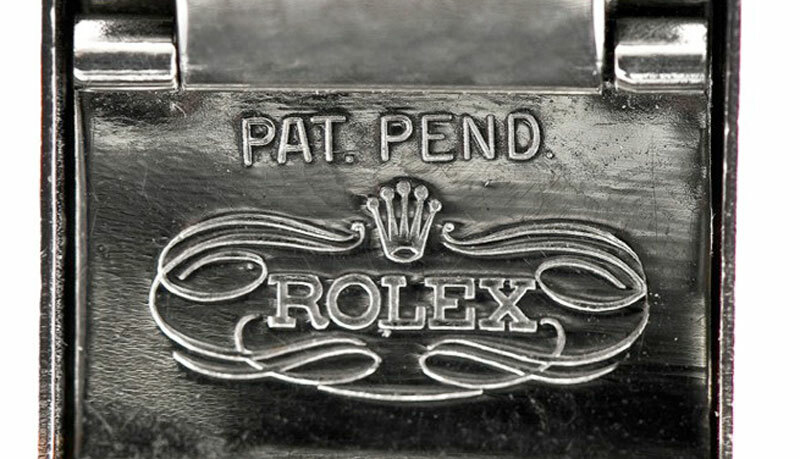 The earliest ones have no helium gas escape valve, nor engravings on the outside of the caseback to denote this. These were the very fi rst examples that were given by Rolex to commercial divers to test in the fi eld. 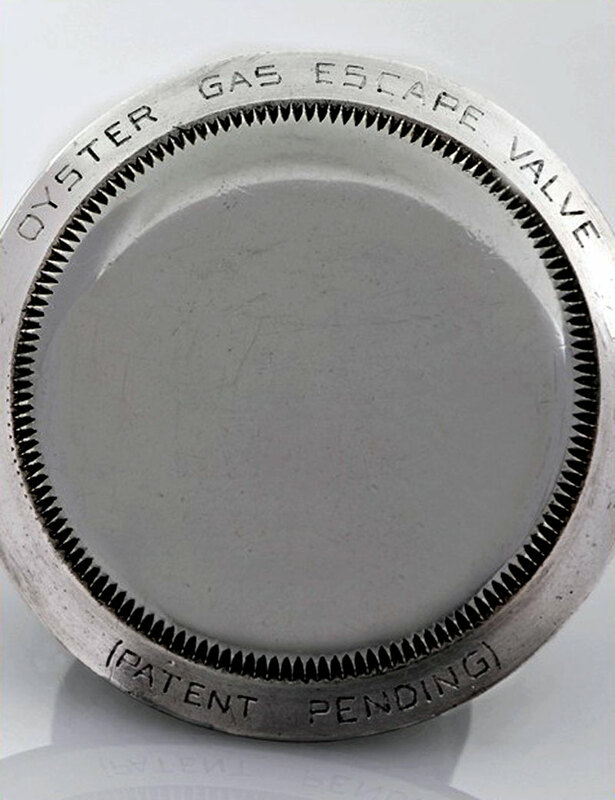 The subsequent ones that did have a gas escape value fi tted had an identical dial, but also bore a hand-engraving along the lip of the case that reads “OYSTER GAS ESCAPE VALVE PATENT PENDING”. This is very different from later examples (Including standard Patent Pending Ref. 1665s) as the engraving is done by hand and looks much more rough and hand made as opposed to being machined. The most signifi cant and important example would be this one, which can be argued is the very fi rst watch Rolex made to have the helium gas escape valve. These watches truly were the prototypes for subsequent production models of the Sea-Dweller. 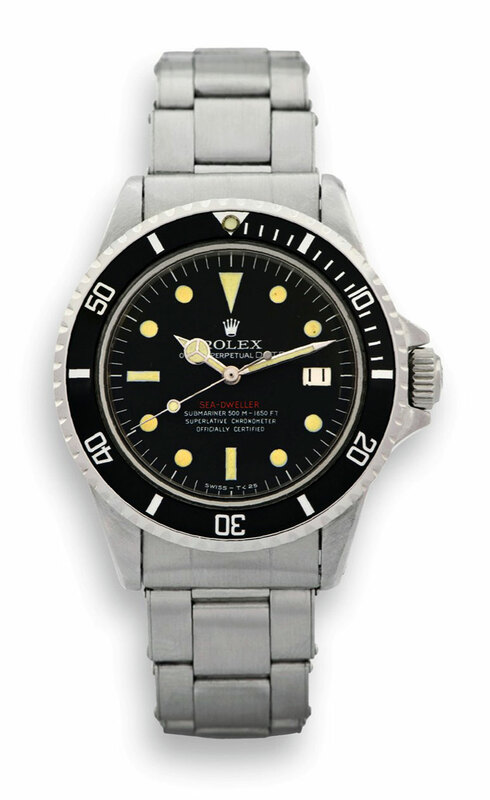 Their history, intertwined with the lives and contributions of important divers of the 1960’s make them one of the most historically signifi cant watches that Rolex ever made, and thus one of the most important dive Rolexes to have ever come for auction. A truly superlative example in rarity and condition. Bought by the current consignor in the late 1980's, the watch has remained unworn in the safe since its purchase and has remained in excellent original condition. Published in the Japanese magazine (illustrated above) in 1995, it is without doubt the most important SeaDweller offered at auction until now. We would like to especially thank Eric Ku for his help in researching this timepiece.